Dining on the Viaduct Harbour at The Shucker Brothers in Central City. 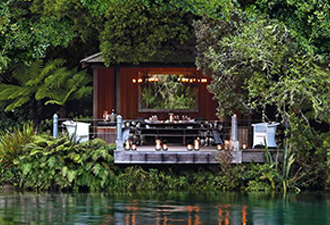 Savor the full bounty of Kiwi cuisine with a visit to the city’s top dining districts. Like a lot of things about Auckland, from the indigenous Māori culture to the remarkable volcanoes, islands, and beaches, the local cuisine is distinctive, shaped by a sense of self-reliance and the bounty of sea and land. As New Zealand’s largest city, with 1.6 million people, and its chief international gateway, Auckland, on the North Island, plays the role of ambassador in promoting a food culture built on the sustainability of ingredients and the multiculturalism of Aucklanders. To see why Kiwi fare is a growing foodie favorite, feast in three of the city’s most celebrated dining districts. Local produce, like this chargrilled broccoli, drives the menu at Amano, in Central City Auckland. Downtown Auckland blends the bustle and sophistication of a big city with the tranquilizing effect of the scenic harbor at its fringe. Experience both at Sid at The French Café, where chef and serial restaurateur Sid Sahrawat and his wife and partner, Chand, balance fine dining with a friendly welcome. The food is progressive, with global accents – think pomme soufflé with chorizo – but the light-filled dining room warms the setting and diners are invited to explore the kitchen garden. Instead of relying on the gulf-to-sea views from the Sky Tower’s 53rd floor, The Sugar Club dazzles all on its own with chef Peter Gordon’s deft pairing of local ingredients with Asian flavors. Back at street level, elbow into the neighboring Depot, a boisterous oyster bar with an all-Kiwi wine list. Auckland’s penchant for all things green extends to urban planning, exemplified by Britomart, a vibrant downtown shopping and dining precinct that blends 18 historic buildings and modernist additions. While browsing, stop in Ortolana café for a coffee or Amano for a locavore meal prepared in the exhibition kitchen. Both concepts from Hipgroup are driven by seasonal ingredients, sourced sustainably. From downtown Auckland, take the 40-minute ferry across the sparkling Hauraki Gulf to lush Waiheke Island, home to more than 30 wineries and endless ways to experience the rolling terrain, from cellar visits to zip-lining, biking, and beachcombing. Cable Bay Vineyards on Waiheke Island is just a short ferry ride from downtown Auckland. Many wineries operate serious restaurants that allow their wines to shine. Cable Bay Vineyards even offers two options, the more refined Dining Room and the casual Verandah, both of which capitalize on the winery’s organic gardens and panoramic gulf views. Launch your foodie adventures in Ponsonby at Ponsonby Central, a popular food hall. For the edible cutting edge, head directly to Ponsonby, an inner-ring suburb teeming with creatives and food artisans. “To see the blend of architecture, culture, and characters that make up the city, I recommend a food tour of Ponsonby,” says Lisa Torgerson, a Virtuoso travel advisor based in Hoffman Estates, Illinois. The foodie hive of Ponsonby Central, a high-end food hall, is a good place to start, with its greengrocers, juice bars, and bakeries. Save your appetite here for The Blue Breeze Inn, chef Che Barrington’s upscale Kiwi interpretation of Chinese food. Don’t miss the steamed buns with roast pork belly and pickled cucumber that consistently land the restaurant among the city’s best. Grab a seat by the open kitchen to watch the dumpling chefs, who trained in China, spreading, filling, and pinching luscious packets filled with spicy chicken. Down the street, SPQR – short for Senatus Populusque Romanus, or the senate and people of ancient Rome – put the district on the map with its cool, unhurried Italian fare and celebrity clientele. Settle in at a linen-dressed table on the sidewalk or a candlelit one inside to enjoy a crowd-pleasing menu of pastas, pizzas, and cioppino made with local snapper and prawns. Gather around a communal table at 40-seat Orphans Kitchen, a champion of fishing and growing for both environmentalism and flavor. But there’s nothing academic about the pleasures of dining here, from spicy peanut butter toast with carrot kimchi at breakfast to local pan-roasted porae fish with yams at dinner. Weekends are made for sampling pastries at La Cigale French Market in Parnell. 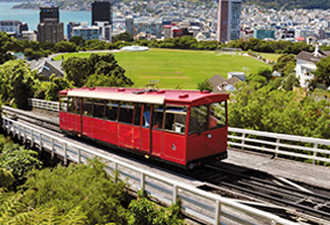 Work up an appetite hiking or cycling in the lush Auckland Domain on the edge of Parnell, then head downhill to the posh village, Auckland’s oldest and most stylish suburb. Tucked between jewelry boutiques, art galleries, and designer shops lie green markets and destination restaurants where elegance meets excellence. “Auckland is a farmers market heaven, and Parnell is a great place to get a sense of the bounty of the country,” Stoll says. Try the Saturday- and Sunday-morning La Cigale French Market. Graze your way through this petite slice of France in Auckland, filled with stalls devoted to crepes, pastries, breads, charcuterie, et plus. When it’s time for a focused affair, book a table in the garden courtyard at Cibo. Housed in a former chocolate factory, the refined but friendly Cibo turns out Instagrammable dishes by acclaimed chef Kate Fay, ranging from sashimi to wagyu bavette. DIY – or not – at Han Restaurant, marrying Korean cooking to New Zealand ingredients. Diners can charcoal-grill venison bulgogi at tables stationed under exhaust fans, or go with chef Min Baek’s grilled salmon with kimchi and crispy kelp. A tiny-but-mighty poster child for sustainability, Pasture does everything in-house, from canning wild fennel to aging butter, paired with house-made bread. Husband-and -wife team Ed and Laura Verner feed only about 20 diners per seating, with a seasonal menu that tastes of place, both wild and refined. This article is sponsored by Auckland Tourism. 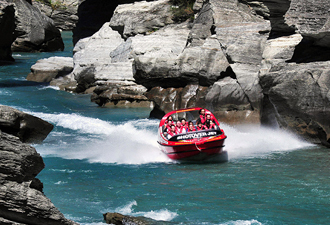 All images courtesy of Auckland Tourism.